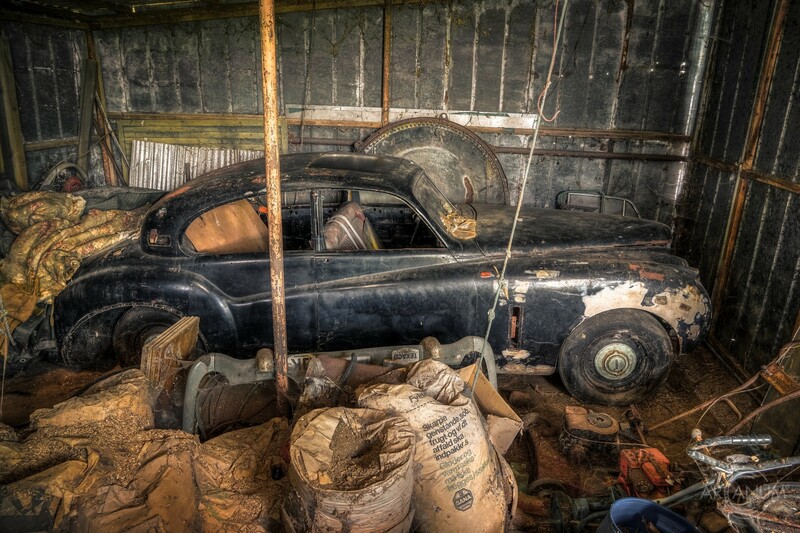 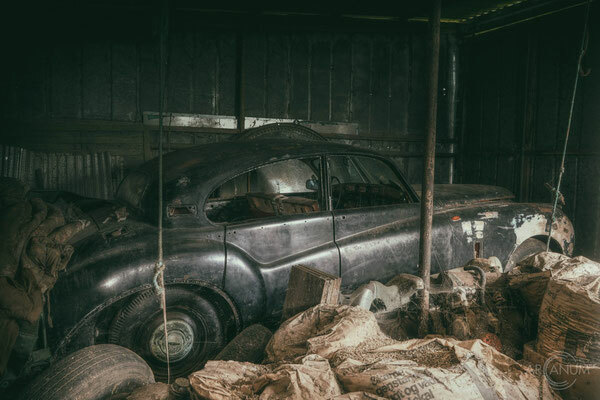 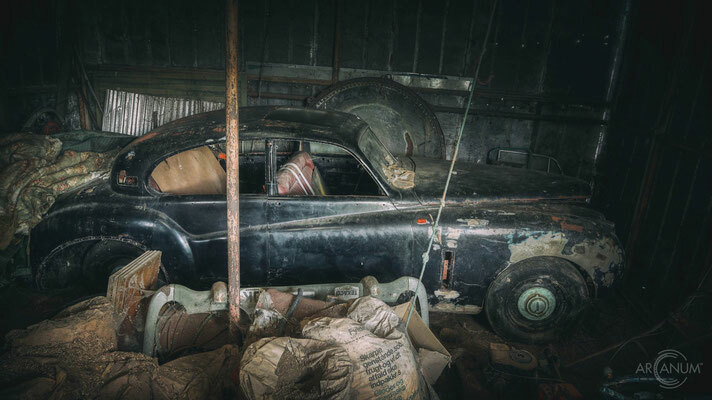 On the Danish island of Fyn, hidden behind an inaccessible abandoned house, lies a barn with a treasure inside it. 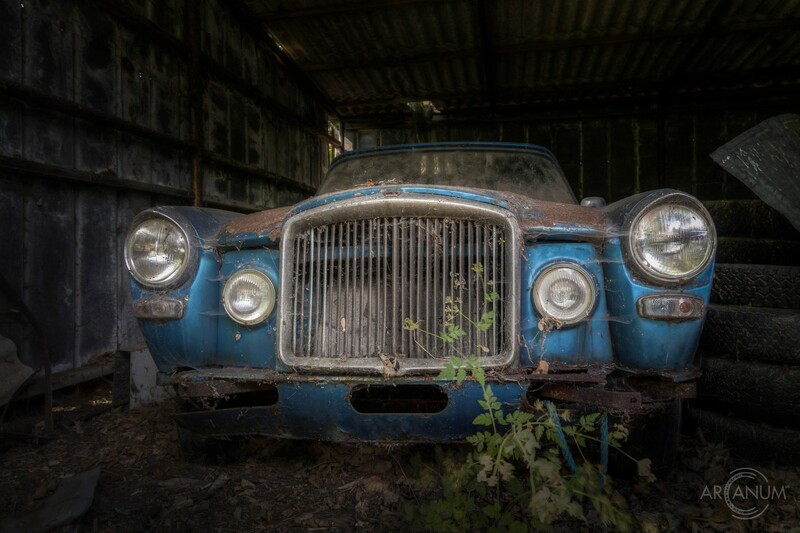 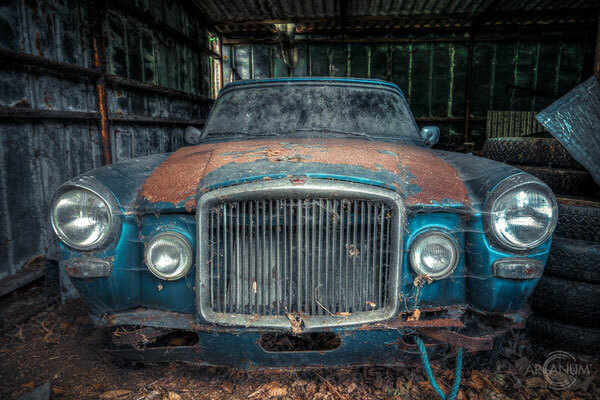 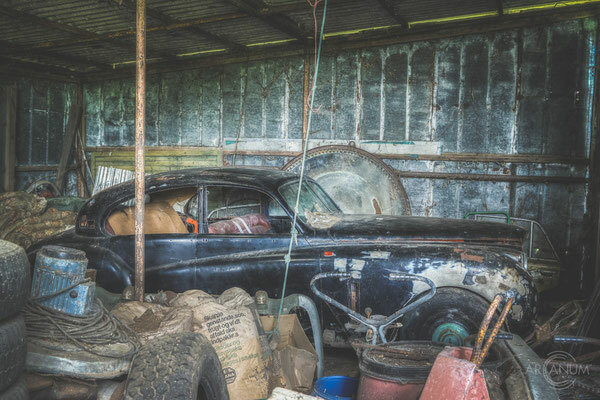 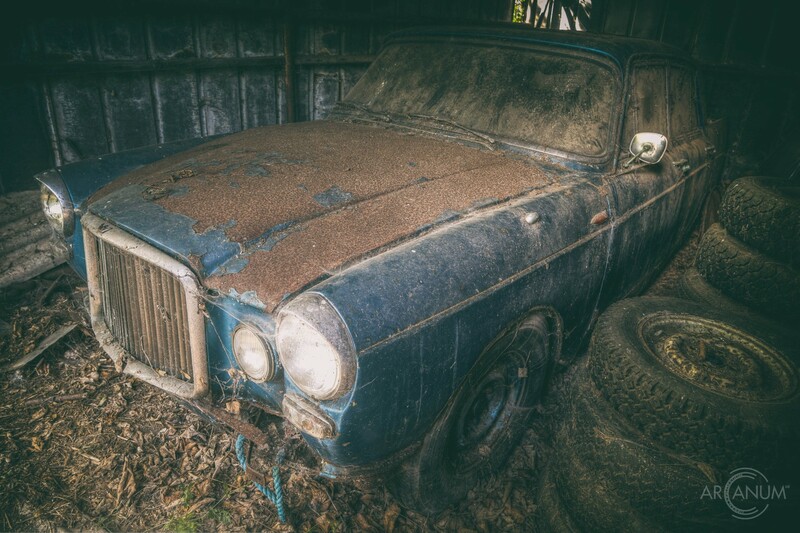 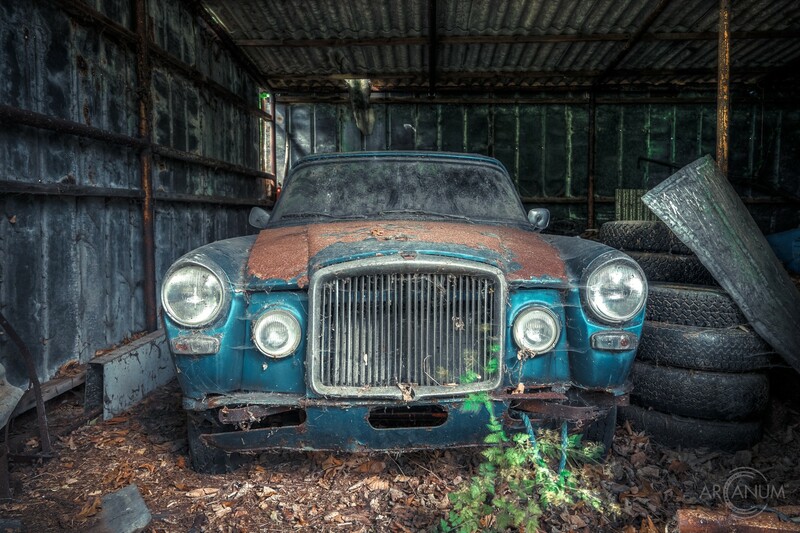 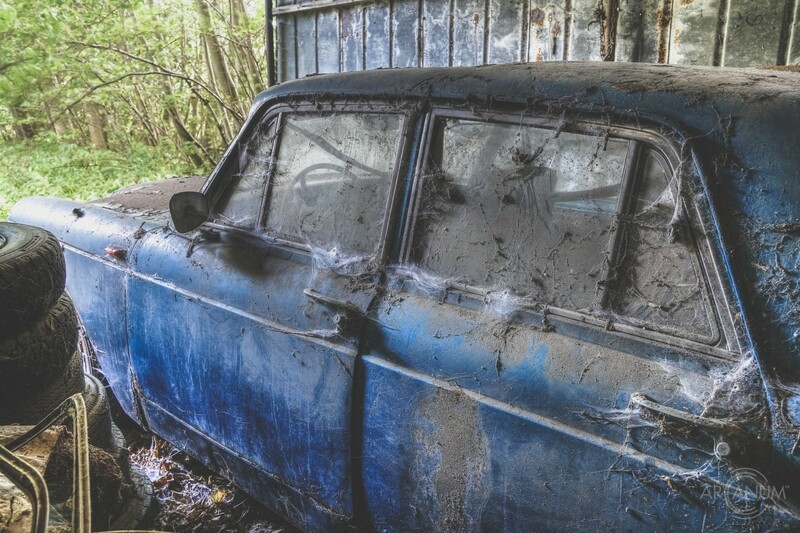 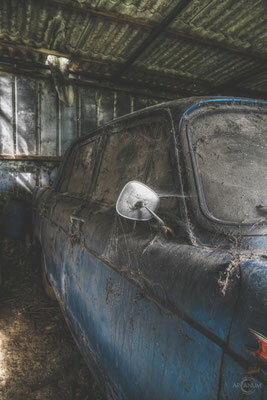 Two old British cars, both in pretty bad condition - but still showing off some of their former beauty - have been rusting away for a very long time. 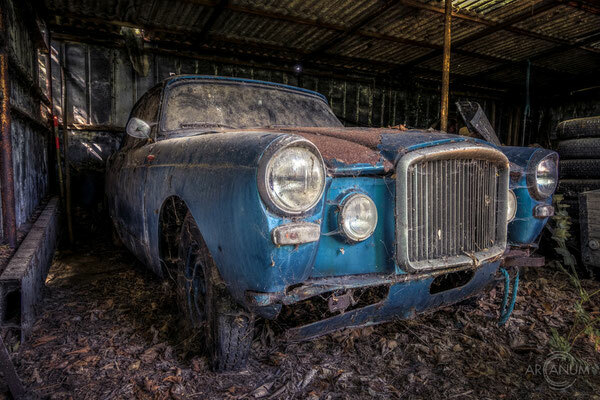 The first car to be seen is a Vanden Plas Princess 4 Litre R built sometime between 1964 and 1968. The second is a Jaguar Mk VII which was produced between 1950 and 1956.